If product X is the same as product Y except for the brand name, and product X is tested for certification or verification or undergoes a design change, then can product Y be certified, recertified, or delisted based on product X’s test results? Are certification bodies (CBs) required by ISO 17065 to certify every product attribute identified in ENERGY STAR specifications? Are certification bodies (CBs) required by ISO Guide 65 to certify every product attribute identified in ENERGY STAR specifications? Are certification bodies (CBs) required to submit data center storage equipment Test Data Report (TDR) files to the EPA via My ENERGY STAR Account (MESA)? Are computer servers required to undergo the active mode Server Efficiency Rating Tool (SERT) test during verification testing? 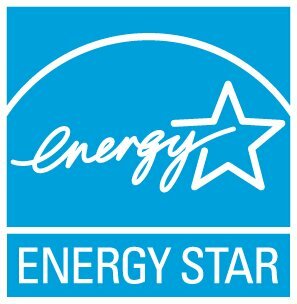 Are ENERGY STAR performance criteria subject to verification testing when they are specified for reporting purposes only? Are internal power supplies for electronics and office equipment subject to verification testing? Are internal power supplies required to meet both the 115V and 230V requirements for ENERGY STAR certification? Are large screen computing products, designed to be viewed by multiple people in non-desk based environments, included in the scope of Computers V6.1 or Displays V6.0? For example, products similar to the CNN "Magic Wall." No. While CBs are required to collect and maintain data center storage equipment TDR files, they are no longer required to submit the Storage Networking Industry Association (SNIA) Emerald generated TDR template file names or upload files as part of the XML-based web service submission. If requested by EPA, CBs will need to share select TDR files. How should a certification body (CB) proceed if it procures a product for verification testing and determines that it is a refurbished or re-designed version of the certified model?